Carl McDowell learned what to do in weaving from a book, he learned what not to do from experience! He has weaved with the Navajo Indians, and worked at a variety of other fiber festivals. 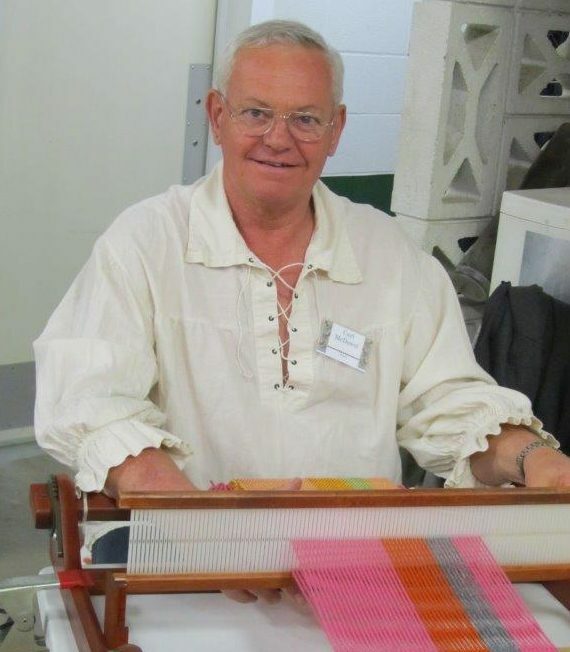 Carl believes that the art of weaving is a never-ending learning process and he is ready to share some of his knowledge gained in over 10 years of experience and help you get started! Click here to see the classes he’s teaching this year!